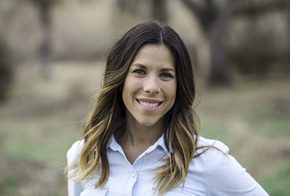 Candace Browne is a DONA certified birth doula providing pregnancy and labor support to families in the Treasure Valley. Candace believes that birth of your baby will have a lasting impact on your life – how you feel about yourself and how you feel about your baby. She can help you make it a beautiful and empowering experience. As your doula, I want you to have peace of mind knowing you have someone who is cheering for you every step of the way. Communication is key to a great relationship-please don't ever hesitate to contact me with any fears or concerns. Prenatal Visits - After your complimentary consultation, I prefer that we meet together at least twice before your labor begins. During our meetings we will get to know each other, discuss the vision you have for your birth and any worries you might be feeling, and explore options for pain relief and birth positions. I want to learn how I can best help you and your partner have a positive and satisfying birth experience. Access to my lending library - Being informed will help you to not be afraid of the unknown. I encourage all of my clients to learn about all of their options and situations that may arise during birth. I am on-call from the day we sign a contract - That means that I don't leave the valley and I have my phone on me at all times. When you feel like your labor may be beginning, I will visit with you on the phone and give you encouragement and help you decide when you want me to join you. When you are ready for my support, I will come to your home to labor with you or meet you at the hospital or birth center. I will remain with you continually and provide emotional and physical support to you and help facilitate communication between you and your birth team. I will stay with you up to 2 hours after your baby is born to help with breastfeeding and anything else you need. I will gladly take photos and video if you desire. Once you are home and settled, I will visit you to talk about your birth, help with breastfeeding and make sure you have what you need to take care of your baby and your new life! I remain on-call for you two weeks postpartum to answer any questions, address concerns and help you celebrate your sweet baby! 200 required at contract signing and the balance at 38 weeks. Please don't hesitate to ask about alternate payment plan options.